The 34th annual Hillsborough County Schools’ Tony Saladino High School Baseball Tournament, held over spring break last month, crowned the Plant High School Panthers as this year’s champion, bringing to a close the beloved and much-anticipated week-long round-robin event. After a 12-game winning streak, culminating in a 4-0 win against fourth straight Saladino finalist Jefferson, the Panthers claimed the program’s first Saladino title since 2004. From start to finish, the week-long tournament, held at Brandon High School (headquarters), the University of Tampa, Jefferson High School and Chamberlain High School, played out as planned, satisfying baseball lovers near and far. The traditional 12th annual home run derby championship, held just before the final game in which 12 players competed, went to Steinbrenner’s, Cole Gordon, who won the derby, hitting one homer to left field. On the way to the tournament’s main event, Bloomingdale fell to Alonso, who was defeated by Plant 14-1, sending the Panthers to meet their championship opponent. Strawberry Crest defeated Plant City, but was halted by Jefferson following a close, 5-4 game loss. 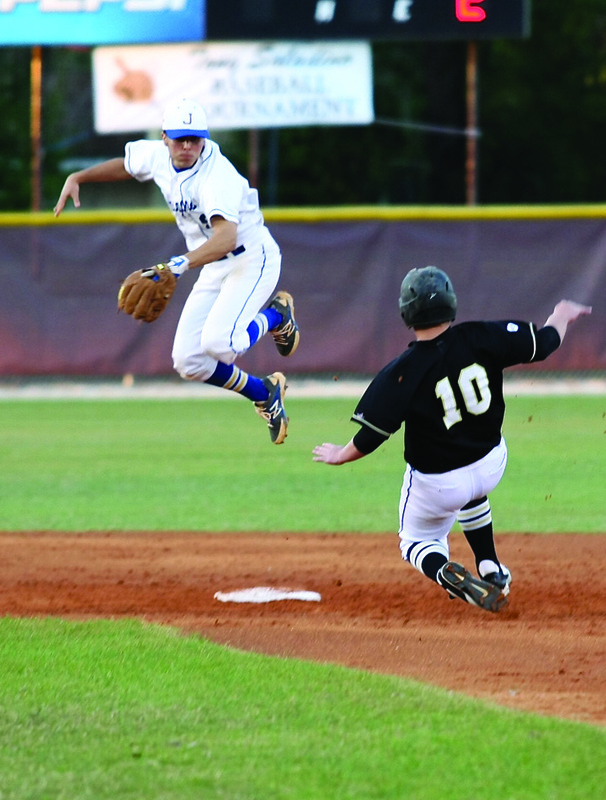 The final game started out strong with the Panthers taking a 3-0 lead in the first inning thanks to Jefferson’s pitcher, Justin Sainz, who gave up three of Plant’s four hits. The Panthers widened the gap in the fourth, leaving the Dragons scoreless and claiming the 2014 Saladino tourney title and trophy. The Panthers accomplishment may be a great boost for the program, but many believe that the real success belongs to event founders Bertha and Tony Saladino Jr., whose commitment to area students, passion for the sport, desire to build lasting memories and love of friends and family along with many loyal supporters is and has been unquestionable for the past three-and-a-half decades. “This event keeps these kids and all who love the sport busy and out of mischief during their Spring Break,” Tony said. As far as the tournament’s future is concerned, Tony, nearing 80, said, “Those who ask me how long Bertha and I are going to host this event the answer is, as long as we are physically able.” The Saladino’s, who have recently celebrated their 50th wedding anniversary, were pleased to officially confirm the continuation of the tournament, thanks to a commitment of their son Tony Saladino III to carry on the tradition. For more information, visit tonysaladi nobaseballtour nament.com.